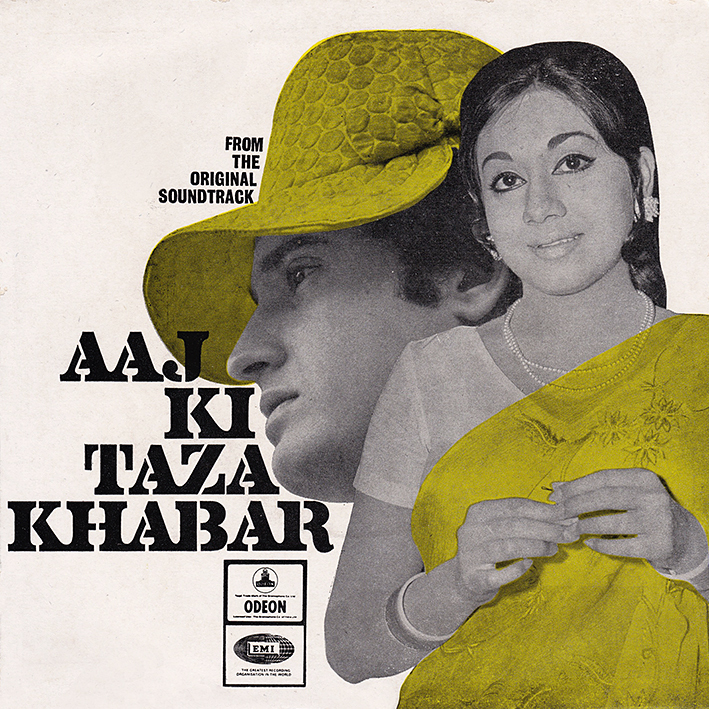 Considering the soundtrack's relative obscurity (I believe this EP was the only release afforded), Shankar Jaikishan's 'Aaj Ki Taza Khabar' [review] is suprisingly good. 'Khilta Hua Shabab Hai' has a joyful 1950s vibe; 'Raat Hai Bhat Hai' sounds somewhat similar to the composing duo's famous rock 'n' roll numbers of the subsequent decade. 'Mujhe Meri Biwi Se Bachao' has a funky groove bringing the music up-to-date, and 'Happy Birthday To Pinky' is as upbeat as is required of a birthday song. Quite delightful. 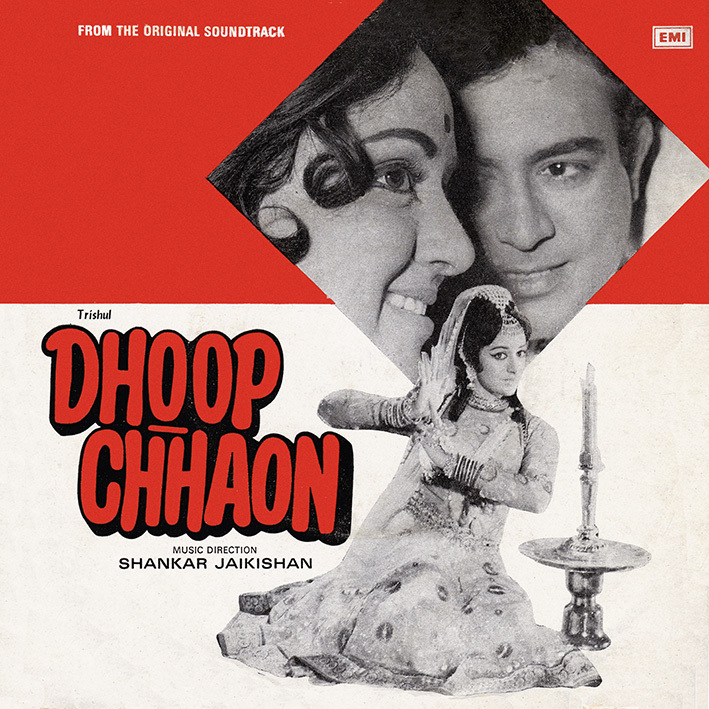 'Dhoop Chhaon' isn't as immediate but has been growing on me. 'Bheegee Bheegee Raat Suhani' was the one that attracted me to it in the first place; a loud and frantic, sort of depraved sounding beat number that reminds me of Sapan Jagmohan's best stuff. The other three tracks are more conventional (for lack of a better word), but melding modern and traditional influences to create a trio of undeniably worthwhile songs. 'Ek Shahari Chhora' is my favourite, for the moment. Sound quality isn't the best though; my copy of the EP is very worn unfortunately. Still, these are two more reasons why one shouldn't necessarily write off Shankar Jaikishan scores made after Jaikishan's passing. This is the greatest blog ever! Thank you so much! An instant question arises why other so called vinyl bloggers don't share such albums. They mostly share...only easy to find stuff it creates doubt on their rips genuineness. Perhaps this blog is only authentic vinyl ripping blog. One humble suggestion pls enhance bit rate 192 to 320 time has been changed. Not sure in what sense you mean time has changed, anyway my reasons for the 192 rips is explained in the FAQs. Ok ! now I got your point in FAQ regarding bit rate but don't agree with your findings. since you are sharing genuine vinyl it matters most.